· Additional UART (UART 4) added to support serial camera communication such as to RunCam Split. Please note this is NOT the same as Betaflight Camera Control feature, which controls the menu of FPV cameras like Swift, etc. · Additional UART (UART 5) added to support ESC telemetry such as from BLHeli_32 and KISS. · Through-hole solder pads instead of flat pads for more secure soldering especially for beginners. · Barometer sensor on board allows altitude hold mode. 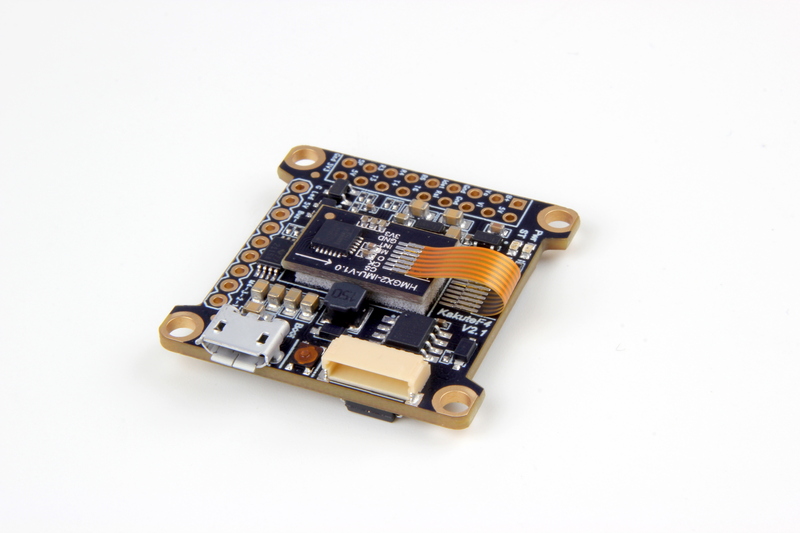 · I2C pad available for certain external sensors. 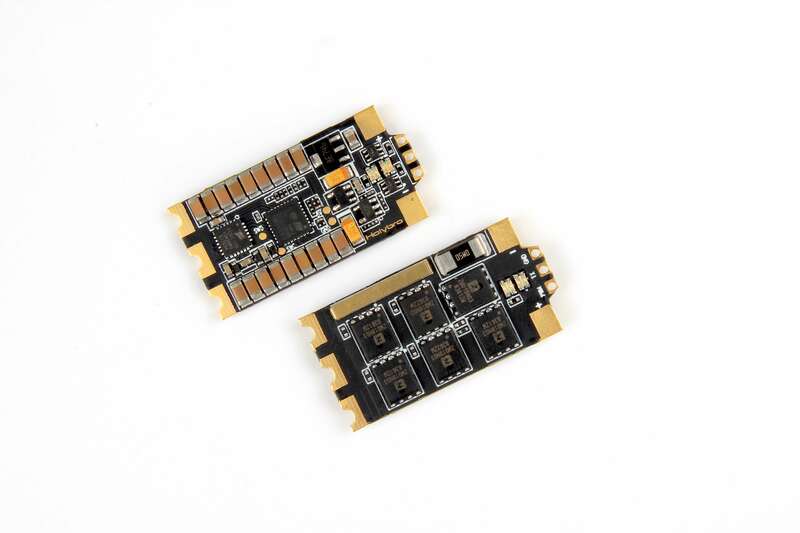 · Supports Betaflight and Cleanflight. 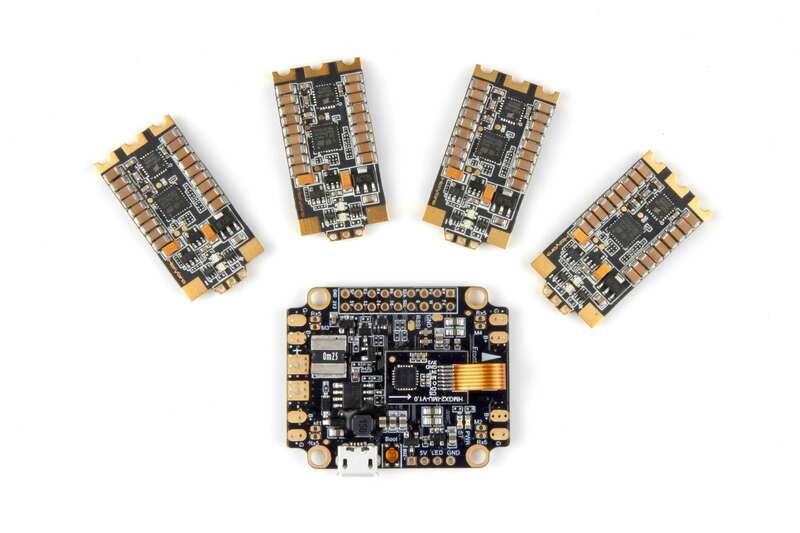 · Betaflight OSD. Change PIDs, adjust common configuration parameters, and change video transmitter channel and power level, all using your transmitter sticks and goggles. · Soft-mounting built in. The IMU (“gyro”) chip on this board is mounted on vibration-isolating foam. This means that there is no need to soft-mount the board itself. · New high-performance / low-noise / high sensitivity IMU. ICM20689 with 6-axis gyro and accelerometer. Can run at up to 32 kHz. · 2 oz. copper PCB allows up to 120A maximum continuous current. · Input voltage 7v to 42v. Power the board directly from the flight pack, up to 6S (on “BAT” pad only).